Foot Locker released a new commercial with Derrick Rose and Tim Duncan to advertise its “Week of Greatness” promotion. Duncan is probably the most boring superstar in sports, and the commercial uses that persona brilliantly. 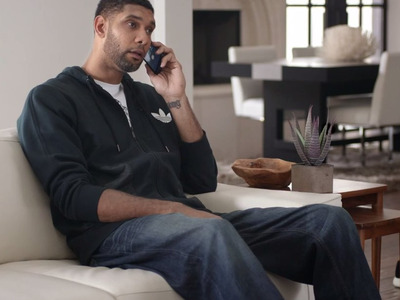 The conceit of the ad is that Derrick Rose calls Duncan up to let him know about the Foot Locker promotion, and Duncan has a very Tim Duncan reaction. It’s refreshingly simple, funny, and unpretentious.